Even if you feel like you've done it all, there are still some date night options that you probably haven't visited before. 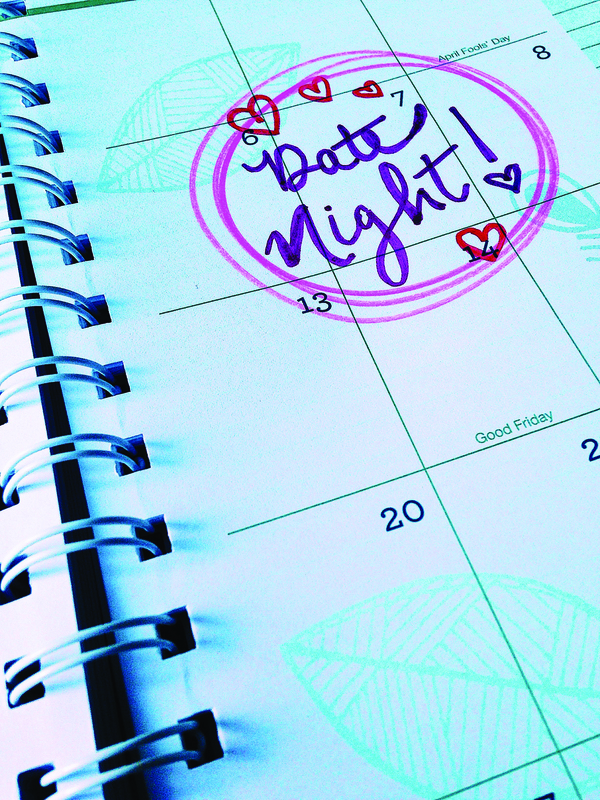 GETTING OUT: Plan a date that will make them fall but won’t break your bank. Looking for a new location to take your special someone? Whether it’s your two-year anniversary or the first date here are a few fun and romantic date night ideas. The Italian Connection + DeBrand’s Chocolate Shop: This adorable, secret little restaurant is located next to the Jefferson Pointe shopping center about a half hour from HU. The Italian Connection is known for its amazing food and unique style – the restaurant is set up inside an old house that was cleared out and re-decorated with lots of small, intimate tables and oodles of retro Italian photos (I’m not kidding – you can hardly see the walls!). After you get your Italian fix, you can drive over to Jefferson Pointe and get dessert at DeBrand’s chocolate shop. These world-class chocolates will make your taste buds dance! DeBrand Chocolate Factory: If you liked what you tasted at DeBrand’s shop, schedule a trip to the DeBrand factory. For $5 you can see the inner workings of factory that produces all of DeBrand’s chocolates for the entire nation. You get samples along the way, chances to win free chocolates, and a coupon to use towards your purchase at the end. A date for the chocolate connoisseur, the tour is sure to delight! The Dollar Theatre Fort Wayne: Though we do have a movie theatre here in Huntington that is cheaper than most, it’s hard to get cheaper than a dollar. Plus, when you visit this theatre, it gives you and your date a nice 20-minute car drive to chat. There’s also a Starbucks and a Buffalo Wild Wings right next to the theatre, which offers a few choices for food, if you (or, more importantly, your date) so desire! Headwaters Park Ice Skating Rink: There isn’t much time left for this date, but ice skating can be a great first-date idea because it allows you to enjoy an activity with your date, so you can talk without having to feel the pressure of an across-the-dinner-table conversation! The skate rink closes March 5th, so squeeze this one in soon! Coney Island + Yummi Bunni: Coney Island is a retro and cherished restaurant is in downtown Fort Wayne right next to Yummi Bunni, making it the perfect place for a dinner-and-ice-cream combo! Coney Island is very affordable, and offers a place with rich history and character that can help stimulate conversation. The casual atmosphere gives date-goers the perfect opportunity to have a cheap but yummy meal, and to create memories that are outside-of-the-box from the typical (and often over-hyped) “nicer” date restaurants of Fort Wayne! Afterwards, head next door to one of the newest and most popular attractions in downtown Fort Wayne – Yummy Bunni. Their gourmet ice cream sandwiches are made with donuts instead of cookies, and you can top it with various candies or cereals, making it a place with big city feel on a small town budget. This is a great place to grab a treat post-ice skating – or even post-movie, if you’re more the indoors type! Roush Lake: Grab a blanket and some snacks, and make a quick night-drive down to Roush Lake for a romantic date. Obviously, this date idea is limited to the warmer months, but there’s nothing cozier than a simple blanket to lay on (and one to wrap up in, if it’s still a little chilly!) and stargazing. A bottle of sparkling grape juice is a personal, suggested beverage of choice.